Omega warrants that products supplied and manufactured by OMEGA will be free from defects in materials and workmanship at point they leave our facilities. After inspection, we guarantee to replace any wire shelf / wire shelving component that is deemed defective for up to a minimum of 3 years, provided it meets the stated warranty criteria. If wire shelving is deemed defective by OMEGA, customers are entitled to the replacement of the component. Under no circumstances will OMEGA be liable for any claims including, but not limited to labor or subsequent damages. Products that have been customized in any way are not returnable. 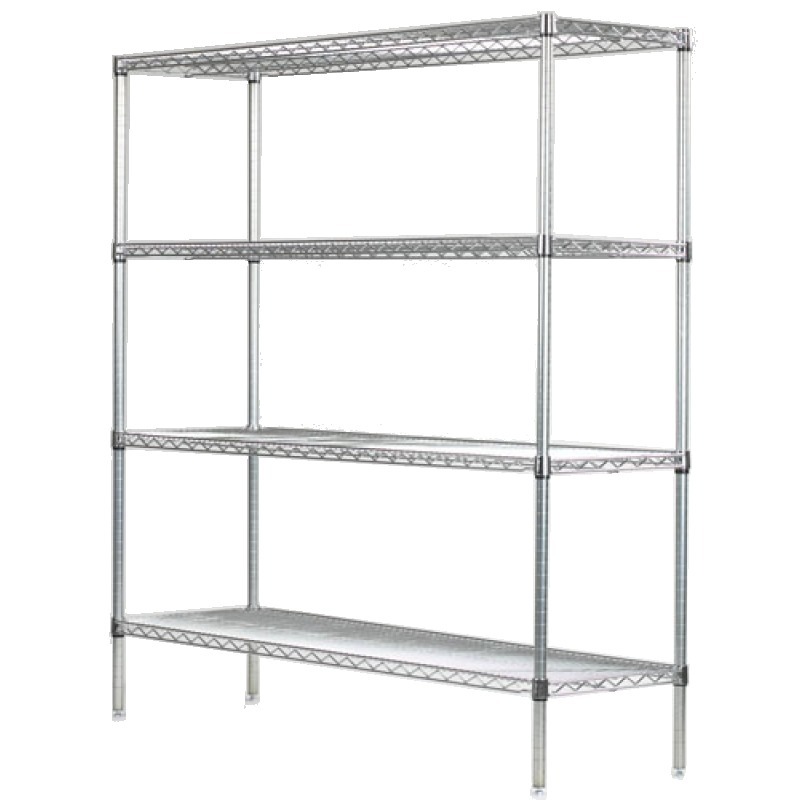 Chrome wire shelving is warranted for 5 years against rust formation over more than six percent of the shelving to the original owner and the original installation in dry storage application and usage only. Black wire shelving is warranted for 7 years against rust formation over more than six percent of the shelving to the original owner and the original installation. Freezer wire shelving is warranted for 25 years against rust formation over more than six percent of the shelving to the original owner and the original installation. OMEGA	shelving must be cleaned only with mild detergents and soft cloths. Using other cleaning agents, scrapers or brushes will void this warranty. Rupturing the coating or exposure to corrosive substances will also void these warranties. In the event of a warranty claim, OMEGA’s representatives will inspect the installation and cause of the failure. OMEGA’s warranties are applied on a pro-rated basis. When a claim is allowed returns or replacements including disassembly, reassembly is the responsibility of the initial owner. OMEGA reserves the right to change or discontinue models, finishes, materials and specifications and update pricing as required. Orders are subject to acceptance by OMEGA or its divisional companies.